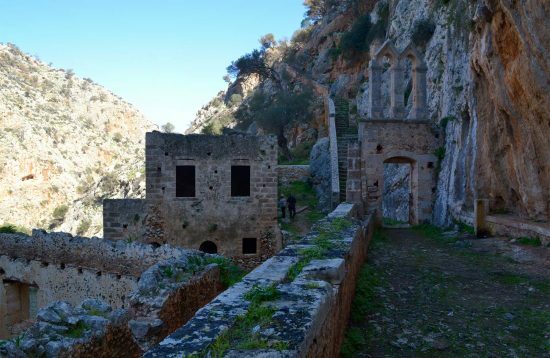 All about the Private Guided Tour to Aptera. The prominent ancient city-state of Aptera was built on the hill over the South side of Souda bay, which is located 13 km east of Chania. 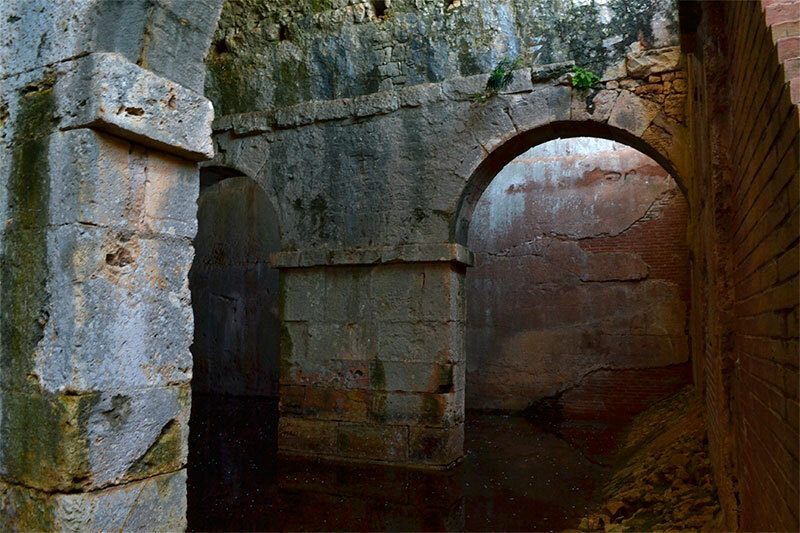 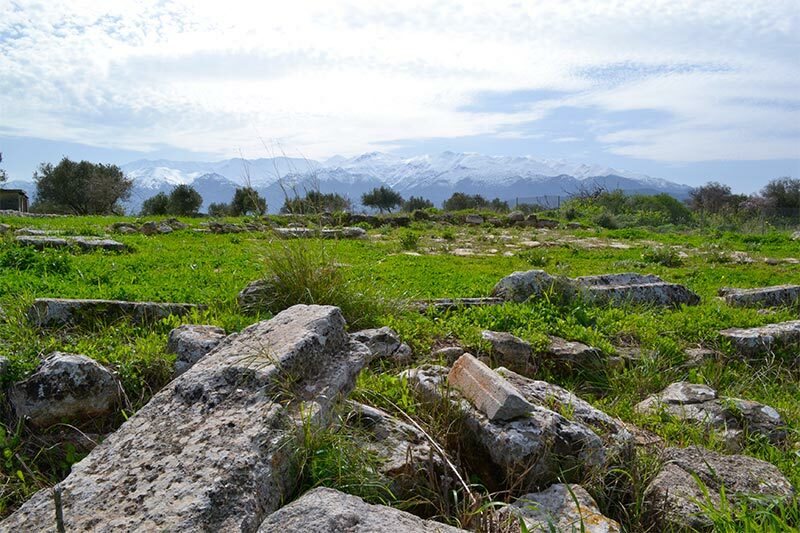 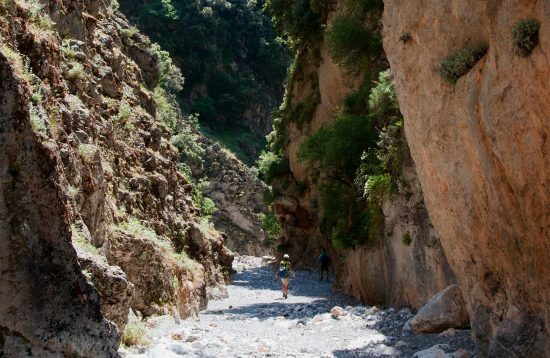 A walk in the archaeological site will reveal several interesting ruins such as the imposing Roman water reservoirs, an Archaic temple, a Hellenistic/Roman theatre, the Hellenistic fortification, a late Roman temple and a Byzantine monastery. 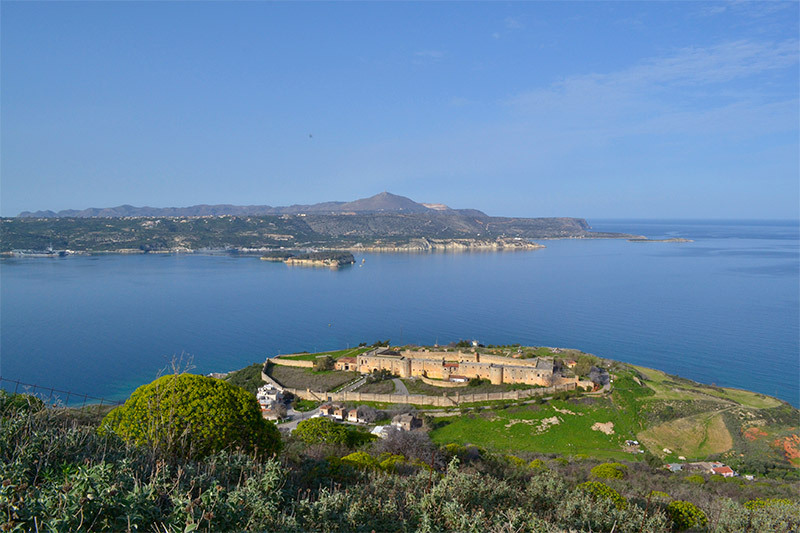 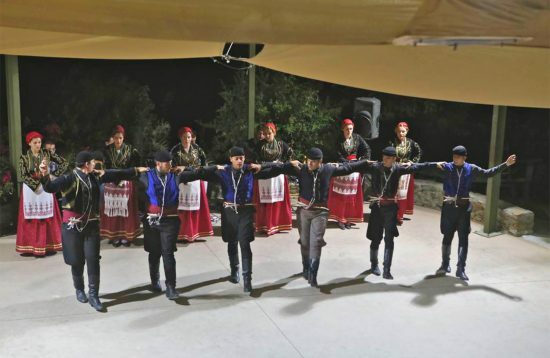 The visitor of Aptera will get the chance not only to discover the ancient history of post-Minoan Crete through the various archaeological ruins, but also to enjoy one of the most beautiful panoramas of the western half of the island. 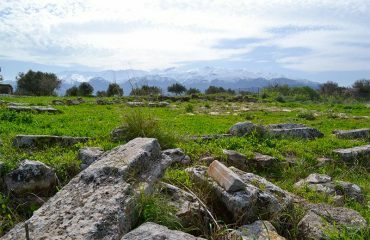 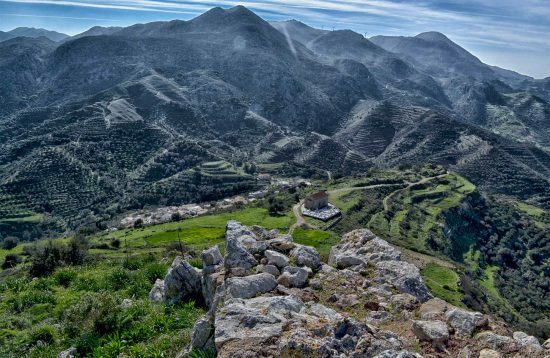 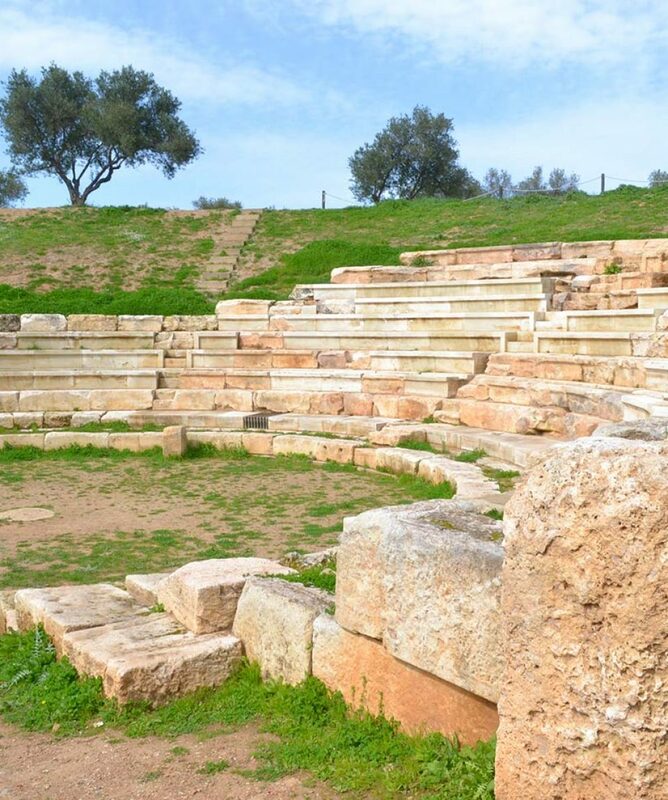 Meet your guide and have an interesting guided tour to Aptera, ancient city – state of Western Crete.